This sideboard is from our Verona Range. 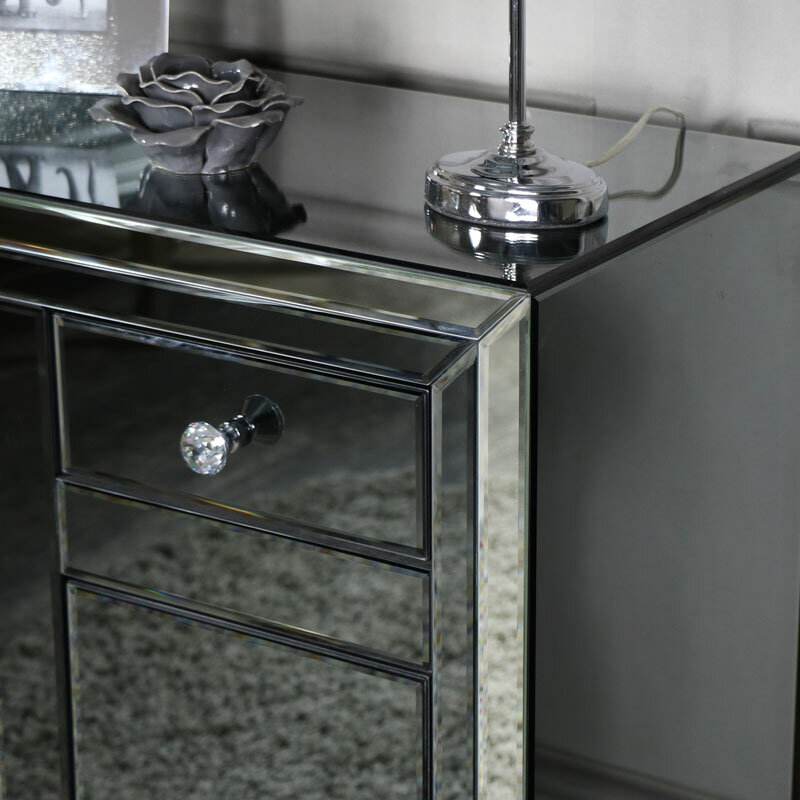 Stunning silver mirrored furniture in a modern contemporary style that will fit in perfectly in the living room or hallway offering excellent storage. In a stunning mirrored design, with smoked and clear glass, that helps to create the appearance of light and space in a room. A great storage solution that will look at home in the living room or hallway with 2 drawers and 2 door cupboard underneath. Crystal effect knobs add a vintage look. Both drawers feature metal runners with metal hinges on the inside of the cupboard doors. We also have a chest of drawers and bedside chests in the Verona Range. This sideboard is from our Verona Range. 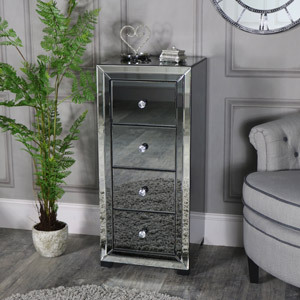 Stunning silver mirrored furniture in a modern contemporary style that will fit in perfectly in the living room or hallway offering excellent storage. In a stunning mirrored design, with smoked and clear glass, that helps to create the appearance of light and space in a room. A great storage solution that will look at home in the living room or hallway with 2 drawers and 2 door cupboard underneath. Crystal effect knobs add a vintage look. 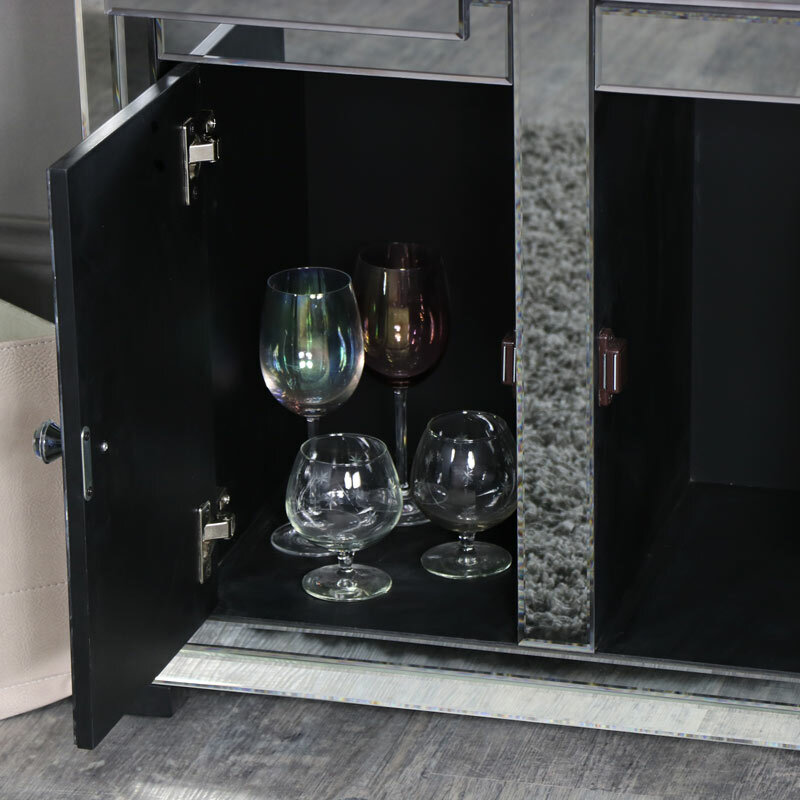 Both drawers feature metal runners with metal hinges on the inside of the cupboard doors. We also have a chest of drawers and bedside chests in the Verona Range. 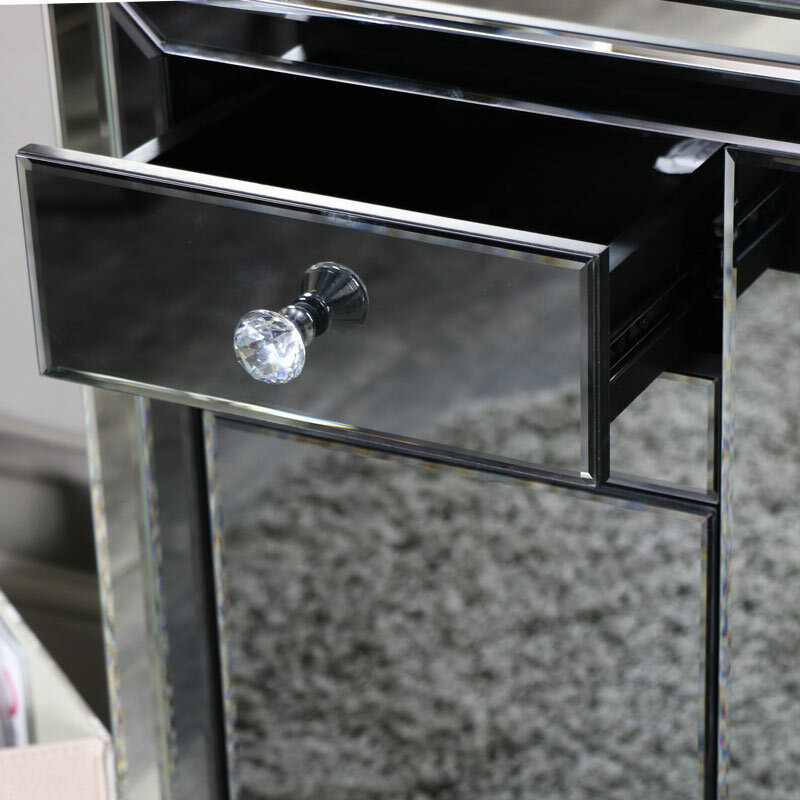 Solid and sturdy design with mirrored panelling in a smoked and clear finish. This sideboard offers an excellent storage solution for your home. This sideboard comes fully assembled. The Verona Range is the perfect furniture for anyone that loves mirrored furniture and the classically beautiful elegant look that this creates. No, the Verona Range Mirrored Sideboard Storage Cabinet comes fully assembled. The wood frame is of a sturdy MDF structure. We have a couple of other pieces in the range including a chest of drawers and bedside chests, available singly and as a pair. The Verona Range bedside chest weighs approximately 35kg which reflects the solid design of this piece of furniture.